Channel 4 is the fourth major TV channel in the United Kingdom and has a remit and international reputation for creating challenging and innovative programming. This spirit runs through everything it does, including the presentation between the programmes. Yesterday, it launched a completely new identity that included everything from idents to news. This is huge project involving several agencies and creatives. The lead was taken by Channel 4's in-house agency 4Creative and creative agency DBLG. Channel idents were produced with Academy Films and directed by Jonathan Glazer. Two custom typeface families were commissioned from none other than Neville Brody. Full credits are reproduced at the bottom of this article. Channel 4 has always sought to bring innovation in their presentation and push the boundaries. The previous set of idents, introduced in 2004, consisted of short films were the logo was only flashed for less than a second. In the new idents, the full logo isn't included at all. 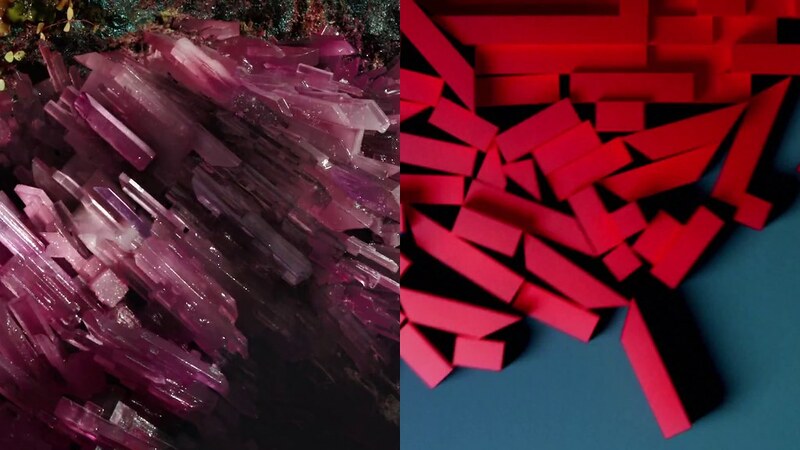 Instead, pieces of the logo appear as crystals in various scenes. Other on-screen graphics also see the logo broken up into blocks that are free to flow around. Brody's typeface comes in eight weights and two variations, Horseferry for display and Chadwick for text. The old logo was introduced in 1998, before Jon Stewart had started hosting the show, and was arguably now overdue for a change. It's replacement is a relatively simple solution that uses Gotham. The new intro features a lighter version of the over-the-top news intro tropes, with spinning globes and graphics. Some of it is surprisingly similar, including the orchestration of the main theme by They Might Be Giants, which remains unchanged. Other graphics are similarly light, contrasting with the studio which is still quite dark. The studio set was designed by Jim Fenhagen and Larry Hartman of Jack Morton/PDG (who were also behind the old Daily Show set, as well as the new set for The Late Show with Stephen Colbert). Clover Health is a new data-driven health insurance start-up that seeks to give American seniors more effective healthcare, sort of a contender to be the Uber och Airbnb or healthcare. It's launch identity was devised by Red Antler. The also created the company website. The simple identity is focused on communicating the benefits Clover offers. TBS is one of the oldest cable TV stations in the United States, started by Ted Turner back in the 70s. It's focus has shifted through the years, but these days it is firmly positioned as a mainstream comedy channel, with sitcoms in primetime and Conan O'Brien later on. Recently, it has trialled a new logo, a version of which can be seen above. Various version of the logo have been popping up sporadically at least since August, when new promos for the upcoming show Full Frontal were released. In mid-September, it was introduced on TBS's social media accounts, making the change more or less official, even if the logo is still not used on-air or on the official website. The version seen above is the one used on the social media profiles, but it will presumably take on many different textures and colour schemes later on. Lendinvest is a platform for investing in real estate through lending, branding itself as the worlds leading "peer-to-peer marketplace property lender". At the beginning of this month it launched a new visual identity, developed by London-based DesignStudio (who've previously helped rebrand Airbnb and Logitech). The agency set out to create "a clean, new focus that simplifies the offering and sets the brand apart". The new symbol is a monogram, with an L and an I in an isometric grid, which should remind you of architecture and space. Backgrounds in ads use pictures of building materials to convey to the investor that they are investing in real buildings. Opera is that web browser that by all accounts is great, but hardly used by any significant number of people. But it has been on the market since 1995 and is under continuing development. Yesterday, it launched a new visual identity, developed by London-based DixonBaxi. Ever since its creation, Opera's icon has been the letter O taken from a serif typeface. The new version is more abstract, taking the form of a "gateway" that leads to new experiences. Correction September 28: DixonBaxi only did the branding and creative strategy for this project, the visual identity was created by Anti. Quebec-based company Alimentation Couche-Tard operates a substantive network of convenience stores and gas stations around the world, across North America as well as some European countries. Today, September 22, it announced that many of these brands would be united under a refreshed Circle K brand. Circle K has until now been the company's most significant brand in the United States. The brands it will replace are Statoil (Norway and Sweden), Kangaroo Express (part of the United States) and Mac's (Canada). In Quebec the stores are branded Couche-Tard, and will remain so "due to the specifics of that market". The announcement came with a ridiculously detailed video, showing how great care has been taken to include aspects of the old logos in the new. The red colour is inherited from Mac's and the orange stripe from Statoil. But most importantly, the new logo is a cleaned up and modernised version of the old Circle K logo. Associated Television, or ATV, was one of the first commercial television companies to go on the air in the United Kingdom. They launched in London on September 24, 1955. As it turned out, they became the second commercial television station to go on the air in the country, narrowly beaten by another company called Associated-Rediffusion which launched two days before. Incidentally, the company wasn't called ATV when it launched. It was initially referred to as the Associated Broadcasting Company, or ABC for short, but had to change its name after another broadcaster claimed those initials. So the company promptly had to come up with an altered name an change its logo to include the new initials. The basic shape of the logo seen above was used from the start, minus two of the letters that were added later. That didn't change the idea behind the logo, an eye shape and its shadow, looking a bit like the classic CBS logo. The ATV logo is attributed to John B. Castle, a designer at Colman Prentis & Varley, which was ATV's ad agency in the early days. Mr. Castle remains largely unknown today, although he was a member of the Designers and Art Directors Club. Next week it will be 60 years since the arrival of commercial television in the United Kingdom, and ahead of this we look back at some identity design classics used by the ITV companies. ABC Television (ABC for "Associated British Corporation") was the name of a British commercial television company that was active between 1956 and 1968. Of the four large companies that dominated British television during this period, it was the smallest, broadcasting only on weekends in the Midlands and Northern England. It did however manage to make a name for itself, primarily through distinctive drama programming. ABC Television was owned by ABC Cinemas and its initial symbol was an adapted version of the cinema chain's symbol, an inverted triangle. After a few years on-air, the company commissioned a new symbol. It was to be designed by June Fraser who worked for Design Research Unit, one of the leading industrial design groups in Britain at the time. Fraser had joined DRU in 1957. To my knowledge, this is one of the first major corporate symbols to be designed by a woman. Yesterday, Ireland's leading telecommunications company changed its name from Eircom to Eir. At the same time, it adopted the squiggly logo seen above. Update: The new identity was designed by Moving Brands. "Eir" is derived from the Irish name for Ireland (Éire) and is pronounced roughly as the word "air". The logo can be used in a variety of bright colours. The United Nations's has recently worked to develop a new document with a set of development goals our world should achieve before 2030. It replaces the Millenium Goals, which expire at the end of this year. Next week, world leaders will gather in New York to subscribe to the The Global Goals for Sustainable Development which include ending extreme poverty and fixing climate change. The branding for this ceremony was created by Trollbäck + Company. The logo consists of seventeen wedges in a circle for each of the new goals. Trollbäck developed a set a colourful icons for each of the goals, using the same colours as the main logo. They also created posters and campaign materials to promote awareness of the goals. Overall, the typography is strong and clear and the colours are bright. August saw some major namechanges, for Latin America's largest airline and for Google's corporate parent, which became Alphabet. There were also a bunch of rebrands for TV channels, food brands and many others. Enjoy! VRT, the public broadcaster in Flanders, has three TV channels, operated under three different and largely independent brands. Last month, on August 31, they were all given new looks and new logos. In keeping with concept of independent channel brands, they were redesigned by three different agencies with little coordination. Één is the flagship channel with broad mix of programmes for everyone. It has been given a brightly coloured look with a new script mark. The secondary channel is called Canvas and is the home of alternative programming. It was redesigned by British agency Why Not Associates (which has previously rebranded the competing channel Vier). Canvas features a lot of culture and current affairs and has traditionally had a minimalist look which this redesign doesn't stray too far from. The old logo featured a square which as been "opened up" into two lines in this new iteration. Finally, there's the children's channel Ketnet, which was given a new look by motion design studio Eugene and Louise. The public broadcasting system in the Netherlands was restructured a few years ago and many of the member-based organisations that make it up were forced to merge. KRO and NCRV were two of the largest organisations, and they merged to create KRO-NCRV. Both were founded back in the 1920s when radio was at its infancy. KRO has a traditionally catholic background, while NCRV has been protestant, and the merged broadcaster is built on broad Christian values. The old logos remained in use for some time until late last month when the logo seen above was introduced. Roland Berger Strategy Consultants is a consultancy network that helps businesses around the world with their strategies. It is head-quartered in Munich and has around 50 branch offices. Yesterday, it launched a new corporate identity, reportedly created with Hamburg-based ad agency Jung von Matt. The core logo consists of a "titanium B", representing "excellence and strength", and a simple wordmark. It is supported by a "liquid B" which can be filled with colours or imagery. Golden Island is an American brand of beef jerky. It traces its origins back to Taiwanese cuisine and is currently offered in a variety of exotic flavours. This July, Golden Island was given a new look by Duffy & Partners (which has since rebranded itself as Duffy the agency). The new look highlights the brand's Asian heritage and positioning, while conveying the different flavours more strongly. Back in the year 2000, telecommunications company Bell Atlantic had grown to the point where it needed a name to fit a business that was no longer confined to the eastern part of the United States. Thus, Verizon was born and America came to be accustomed to a new logo, consistently regarded by designers as one of the worst logos used by a major corporation. Fifteen years later, one the country's most omnipresent brands has replaced that logo. Keeping some of the straightforwardness of its predecessor, the new logo is dominated by a single-colour wordmark. Some identification is achieved and continuity maintained by keeping a small version of the old checkmark as part of the logo. Google launched a new logo today, finally giving up on the wordmark it has used with minor changes since 1999 when it was still merely a challenger among other search engines. It was designed in-house by Google's own design team, and they have posted an extensive case study (highly recommended). 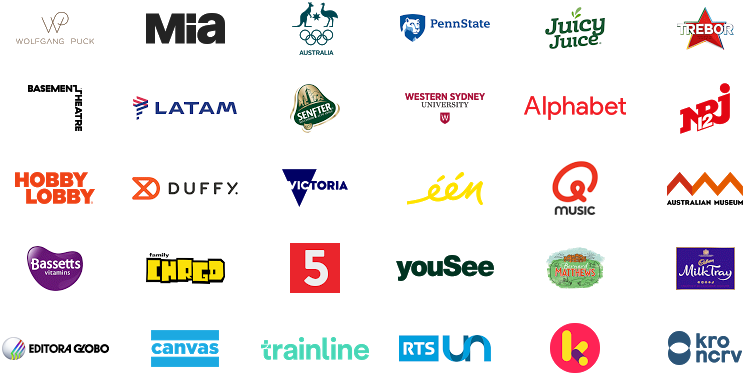 The new logo still uses Google's signature colours, but the old serif typeface has been replaced by a simple geometric sans serif. The logotype is supported by two other elements, four dots that will be shown in transition phases and a multicoloured G that will be used as an icon. Previous icon symbols from Google have tried to retrofit the existing logo into a square shapes icons. This time, the icon and the logotype were clearly designed to work together.